There is simply no place in the world like the Grand Canyon, this marvelous place is formed through millions of years of process, creating a one of a kind landscape with unbelievable views. Every year, millions of visitors come to this huge canyon to enjoy its beauty and to experience the thrill of various adventures they can have in this place. When you visit the Grand Canyon, it’s likely you won’t be able to explore the whole area, because it’s just too big. 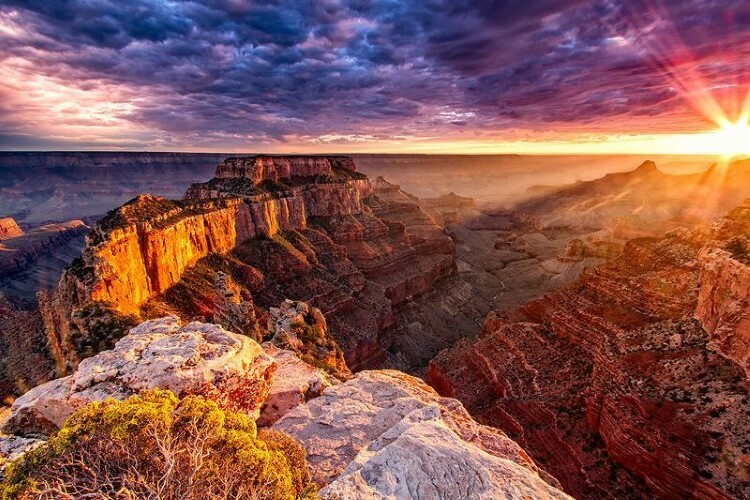 So before you go, it’s best to have a plan so you know exactly which area of the Grand Canyon is best for you to visit and how exactly you prefer to explore the area. Here are three main areas in the Grand Canyon National Park. This is the most visited area of the Canyon and it’s open for visitors all year round. The South Rim becomes the most popular area of the Grand Canyon because it has a lot of different attractions and many facilities that can be used by visitors to explore the Grand Canyon in such unique ways. 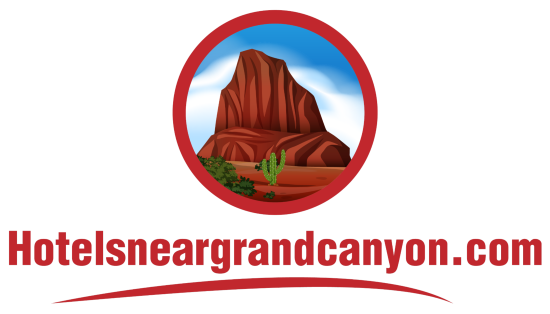 The South Rim offers various Grand Canyon tours, including the Grand Canyon hiking tours, helicopter tours, ground tours, and also the very popular Grand Canyon rafting trips. Each of these tours are led by professional guides that will take the visitors to enjoy this natural wonder while giving them lots of knowledge about the canyon. The North Rim is the area that offers various unique adventures. While the South Rim mostly offers sightseeing tours, most visitors of the North Rim opt to go for hiking trips, rafting adventure or the famous mule rides. In this area there are a lot of experienced guides available that can take you far to the most remote locations of the rim, allowing you to experience the canyon up close rather than just seeing it from a comfortable seat. There are so many Grand Canyon tourist attractions and various things to do in Grand Canyon, but if you’re visiting the Grand Canyon just to relax for a little while and enjoy the view, then the West Rim could be the best area for you to visit. 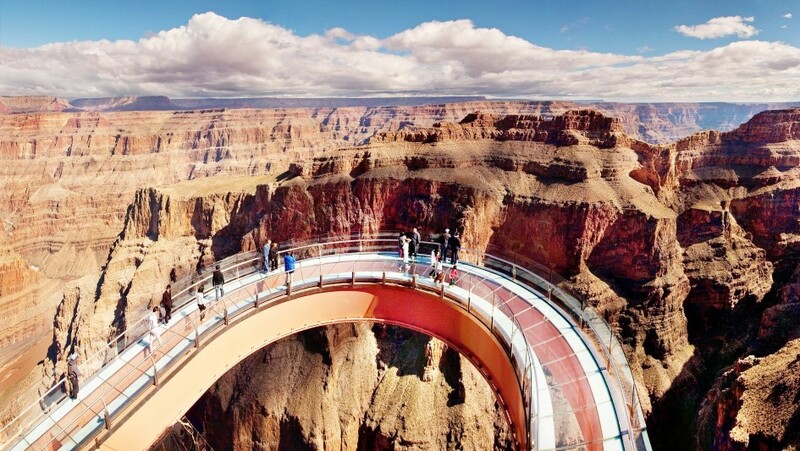 This is the place where you can find the Grand Canyon Skywalk, a famous bridge made of horseshoe-shaped glass protrudes as far as 70 feet over the edge of a cliff. This bridge offers a truly one of a kind experience and unique view of the canyon, it’s also a fantastic spot to take photos. 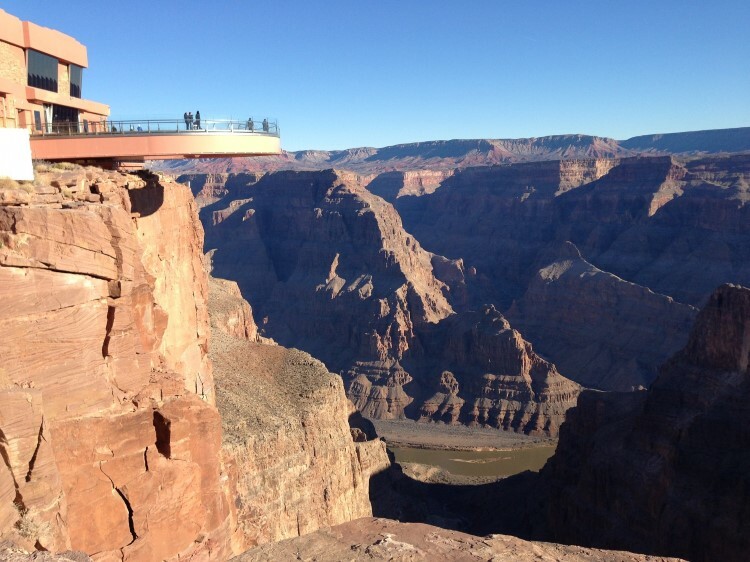 Most visitors who only have a little time and don’t really want to take a helicopter ride, hiking trip, rafting or such, usually will choose to spend most of their time on this skywalk when they visit the Grand Canyon. However, that doesn’t mean that you can only enjoy the view from the bridge in the West Rim, because in this area there are also a few different tours you can choose. The most popular tours of the West Rim are the helicopter tours and ground tours that are starting from the Grand Canyon National Park West Rim Airport and from Las Vegas. That’s also why the majority of visitors in this area are actually tourists from Vegas. The helicopter tour in the West Rim is also very popular, because this is the only area where the helicopter is allowed to land on the canyon floor. 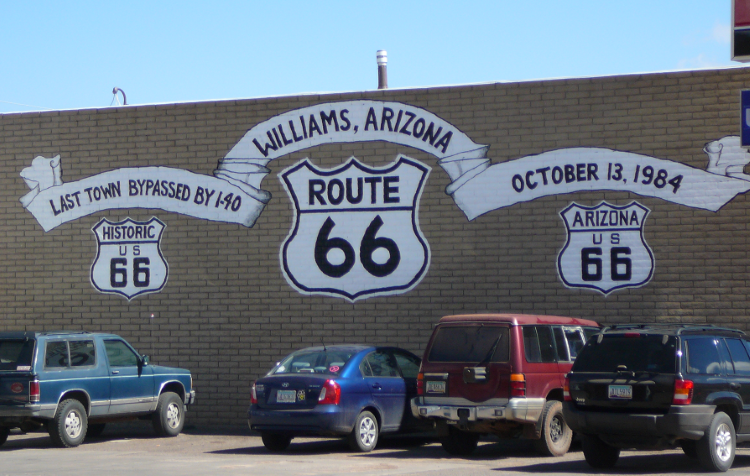 Williams – This is a lovely little town on the famous Route 66, 42 miles west of Flagstaff and 60 miles due south of the Grand Canyon. Even though it’s a small town, Williams is rich in history since it’s used to be a railroad town. In fact, today it’s the home of the famous Grand Canyon Railway taking visitors to the South Rim and back on an antique train. 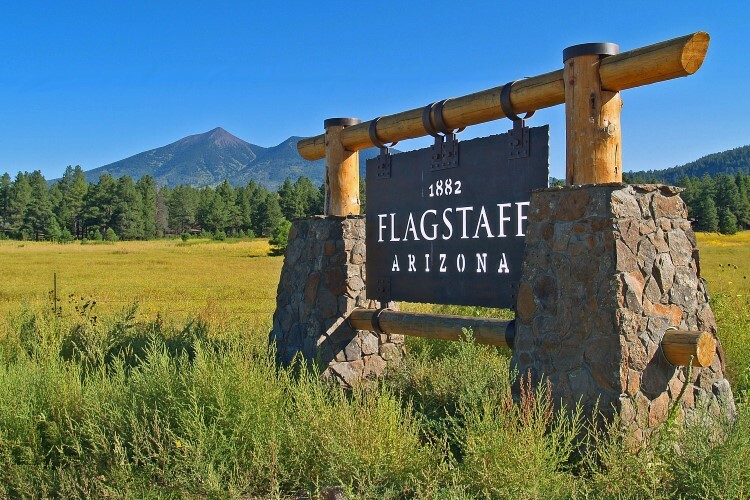 Flagstaff – Located just 90 minutes away from the South Rim of the Grand Canyon, Flagstaff is an ideal place if you need a place to stay overnight during your trip to the Grand Canyon. In this small town there are a lot of options for accommodation, including hotels, motels, as well as lodgings. 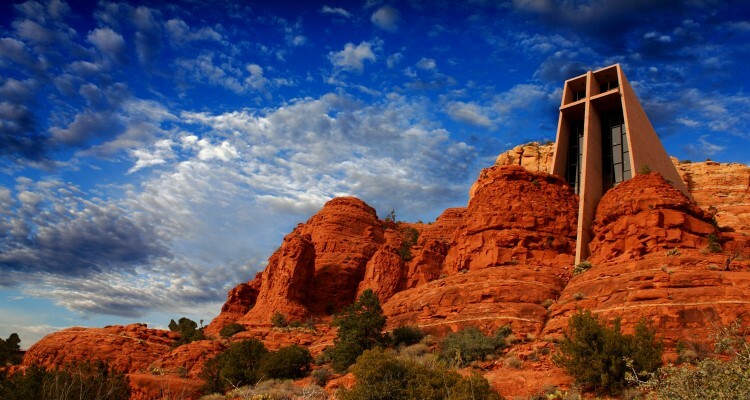 Sedona – This town is two hours away from the Grand Canyon and it was once called “The Most Beautiful Place in America” by the USA Weekend’s Annual Travel Report. This is also a place that’s very popular among UFO enthusiasts. 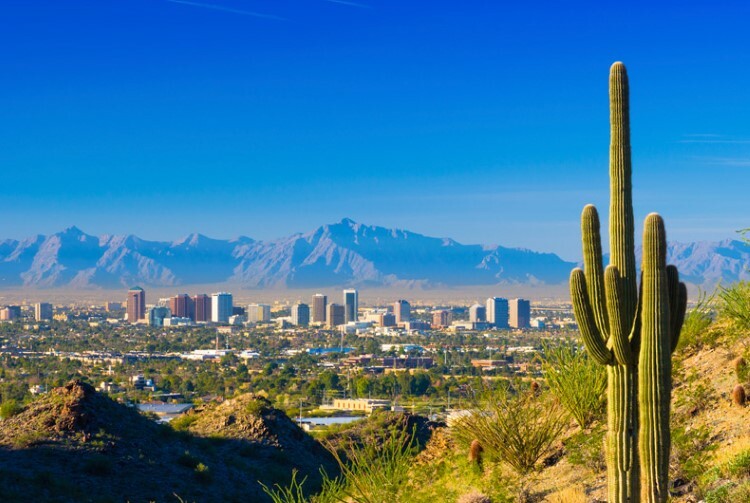 Phoenix – From phoenix airport to the Grand Canyon, it’s about 3,5 hour drive, and along the way there are many places of interest that you can visit.